A recent Facebook post, on the Tamarack Hill Farm page, raised a debate about how much top riders care about their horses. I hear it all the time – riders at the top of [fill in the sport] LOVE their horses. They would not be doing it if not for the love of the horses. 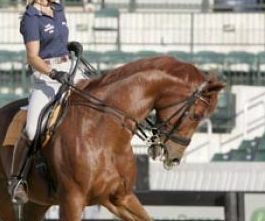 I cannot, of course, know what any given rider feels for their mount – but does the evidence really bear this out as a fact? In … the American Endurance Ride Conference, when there is ANY horse fatality, it becomes a HUGE DEAL. There is an inquiry, a special panel, it becomes a matter of public record in the AERC Magazine, and the whole “ethic” is aimed at responsibility of rider, officials, ride management…. Right now, if someone loses a horse in eventing, they get huge sympathy, but they don’t get officially questioned and almost never held accountable, except in the most extreme cases…. If every [eventing] rider knew that he/she would be held accountable, each might became more of a safety advocate, and XC designers would be more likely to think similarly. Yes, I would say that is a good thought. I assure you that all top riders care for their horses more than you think. And I can speak from experience as I have competed through the cci3*** level and have worked with countless top riders. Money is NOT the primary concern. I applauded her assurance, but pointed out that there is NO group of human beings to whom you can apply an “all” statement. We eventually ended the debate in agreement: I had originally stated that I knew some top riders really did care about their horses, and she eventually conceded that she did, in fact, know some top riders who do not put the horse first. Whatever this is, “love” is not a part of it. really the horse? Even if the answer to that is “Yes”, there are many ways to “love” horses. I know many non-horsey people who tell me they “love” horses, when they know nothing about them. What they really love is the romantic vision they grew up with. Then there are those who love the feeling of power that comes from conquering something so large and powerful. I know this sounds cliche, but look around – evidence of it is all over YouTube. There is love of competition, in which the horse is only the vehicle – evidence of that is equally prevalent. One of the top riders in the world – would you treat a loved one this way?! them? Or is it love of competition? If love of the horse is what drives them, does that mean that those of us who are less successful love the horse less? Ironically, this week ended with news of horrible events in an international competition. A horse named Splitters Creek Bundy broke both of his cannon bones in the Al Reef Cup endurance ride. I will spare you the horrific details (click the link above if you want to read about it), but it raises a lot of questions about just how “loved” top competition horses are. To begin, many of the horses in this (and similar) races were ridden by people who’d never ridden them before. Bundy’s rider has ridden 21 different FEI sanctioned rides on 20 different horses – and he is only sixteen. When Bundy broke down, all the other riders and officials passed on by. Does love of the horse only apply to your own horse? The FEI was showing their love, as well. Although this was not technically an FEI event, there are a lot of reasons why it falls within their umbrella (Epona.tv does a nice job of addressing that here, but beware that they include a disturbing image of the event). But, even if you concede that the FEI had no role, you would at least expect that such a venerable equestrian organization would express outrage at what occurred. Instead, their only reaction was to state that it was out of their jurisdiction. Really?! Do they not have a role in recognizing national federations that are allowed to participate in their competitions? If the world governing body of equestrian sport has no role in this, then why do they exist? Clearly politics is more important than the horse to the FEI. Many of us do love our horses – my horses are certainly as close to children as I will have. Others think they do. I have a co-worker that would tell you she puts her horse first, yet she had her horse’s tail nerved because it is “the thing to do” in her sport. I have trouble reconciling that as “love”. I am not denying that many people love their horses – but be careful in making the assumption that it is the case. At the risk of rousing ire, I will point out that many spouse and child abusers will swear that they love their victims … but many of us would find that difficult to swallow. In the end, “love” is meaningless to the horse. It’s really the care and consideration given to the horse that matters. Whether you have a pasture pet, or compete at the top level, if you give due consideration to your horse’s health, feelings and needs, then you are among the best. If you ignore those things, then you can claim “love” all you want – it will only be a lie. This entry was posted in Thinking Out Loud and tagged competition, FEI, horsemanship, love, money and horses. Bookmark the permalink. 5 Responses to Do we love them? Thank you Sparrowgrass, I’m glad you thought so. There’s been a lot to think about, lately. I still can’t think of Bundy in the Al Reef event without my toes sort of cringing and curling under by them selves. And it will go on. And on. Just like the horse racing industry. Where of course everyone loves the horse and treats it with best care. Until it shatters its legs at age 4 after one too many races on unsound tendons. I’m very happy to be doing this as a hobby only. Cleanly. Lovingly. Agree! I may show for fun, eventually, but I’m happy to keep it about me and my horses! I abandoned my ambitions long ago, when I realized that I’d have to treat horses like commodities in order to be in the business. Perhaps I’m delusional, and will toss in the bag after a few years. We’ll see. As long as my horses come first, always, I hope to steer the straight course.